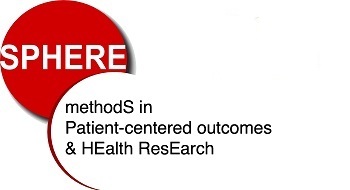 to develop and adapt new methodological approaches for patient-centered health research with a strong impetus toward applications in real life settings. There are three interrelated research axes; an interdisciplinary approach is systematically adopted within and between the three axes: biostatistics, health economics, health psychology, public health, addictology, dermatology, general practice, nephrology, pharmacology. Most researchers are involved in more than one axis to facilitate and enhance the transfer of knowledge and methods between axes. Two main interconnected themes are investigated: Response Shift (RS) and Minimal Clinically Important Difference (MCID). RS is likely to occur especially in chronic disease conditions where patients have to adapt and cope with their disease experience and their acceptance of illness (cf. Axis 2), especially in cases of therapeutic impasses. One of the main statistical approaches currently used for RS analysis on PRO data is SEM (Structural Equation Modelling) which allows for RS detection at the dimension level (e.g. the General Health dimension of the SF-36) and at the group level assuming that patients, on average, experience RS in the same way and magnitude which does not seem realistic. Moreover, SEM assumes ignorable missing data, which might be too restrictive. In fact, although promising, SEM properties have never been formally assessed (type I error, power, bias). Methods coming from Rasch Measurement Theory (RMT) and possibly Item Response Theory (IRT) could be an interesting alternative or complementary to SEM in providing different insights regarding in particular item-level and possibly more so, individual-level analyses and interpretation of RS. We have initiated such studies [Guilleux A, Blanchin M, Vanier A, Guillemin F, Falissard B, Schwartz CE, Hardouin JB, Sébille V. RespOnse Shift ALgorithm in Item response theory (ROSALI) for response shift detection with missing data in longitudinal patient-reported outcome studies. Qual Life Res 2015;24:553-64, Vanier A, Sébille V, Blanchin M, Guilleux A, Hardouin JB. Overall performance of Oort's procedure for response shift detection at item level: a pilot simulation study. Qual Life Res 2015; 24(8):1799-807, Schwartz CE, Sajobi TT, Verdam MG, Sébille V, Lix LM, Guilleux A, Sprangers MA. Method variation in the impact of missing data on response shift detection. Qual Life Res 2015;24:521-8], and the comparison of both SEM and RMT/IRT approaches for item-level RS analyses is ongoing. These results will help identify the most reliable analytical strategy for analyzing two clinical studies for which we are PIs: the ELCCA study for analyzing the psychological and economical changes over time related to cancer (IRESP funding), and the PreKiTQoL study for the evaluation of the benefits associated with pre-emptive kidney transplantation (PHRC-N funding). Moreover, being able to identify RS at the individual level is of importance to be able to provide a better understanding of the way patients might adapt or not to their condition and identify patients who could benefit from psychological or psychiatric support. We plan to go much further into individual-level RS analysis where we already have identified some promising research paths [Blanchin M, Sébille V, Guilleux A, Hardouin JB. The Guttman errors as a tool for response shift detection at subgroup and item levels. Qual Life Res. 2016;25(6):1385-93.]. Besides, other modeling strategies could be interesting to use in combination with RMT, IRT or SEM such as latent class analysis or latent trajectory analysis, and we plan to organize a scientific network in Europe with researchers that have a strong expertise in these different types of analyses (France, Netherlands, Denmark). To ensure that the research developments can be used in statistical, clinical, and psychological practices, we will apply an interdisciplinary assessment of the best methodological approach for the determination of the MCID which is a useful tool for the interpretation of PRO data (project MIDIPRES, ANR funding). The main objective of the MIDIPRES project will consist of comparing methods coming from Classical Test Theory and RMT for the MCID determination in terms of bias on the MCID, sensitivity and specificity to detect individuals with true change, and robustness to the presence of missing data or RS as well as dependence of the MCID on baseline measurements [Rouquette A, Blanchin M, Sébille V, Guillemin F, Côté SM, Falissard B, Hardouin JB. The minimal clinically important difference determined using item response theory models: an attempt to solve the issue of the association with baseline score. J Clin Epidemiol 2014;67:433-40.]. 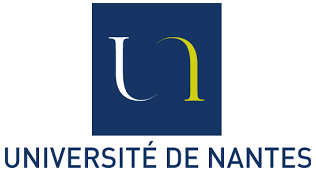 Simulations and clinical applications will be performed in close collaboration with clinicians and researchers in health psychology and economics of the unit, as well as researchers in public health and epidemiology from France (Nancy EA 4360 APEMAC and Marseille EA 3279) in various clinical areas: gambling addictive disorder (EVALADD Cohort, [Grall-Bronnec M., Bouju G., Sébille V., Gorwood P., Boutin C., Vénisse J.L., Hardouin J.B. A French adaptation of the Gambling Related Cognitions Scale (GRCS): A useful tool for assessment of irrational thoughts among gamblers. Journal of Gambling Issues 2012;27: 1-21, Bouju G, Hardouin JB, Boutin C, Gorwood P, Le Bourvellec JD, Feuillet F, Venisse JL, Grall-Bronnec M. A shorter and multidimensional version of the Gambling Attitudes and Beliefs Survey (GABS-23). J Gambl Stud 2014;30:349-67]), breast cancer and melanoma (ELCCA study, [Bourdon M, Blanchin M, Tessier P, Campone M, Quéreux G, Dravet F, Sébille V, Bonnaud-Antignac A. Changes in quality of life after a diagnosis of cancer: a 2-year study comparing breast cancer and melanoma patients. Qual Life Res. 2016;25(8):1969-79, de Bock É, Hardouin JB, Blanchin M, Le Neel T, Kubis G, Bonnaud-Antignac A, Dantan É, Sébille V. Rasch-family models are more valuable than score-based approaches for analysing longitudinal patient-reported outcomes with missing data. Stat Methods Med Res. 2016;25(5):2067-2087, Bonnaud-Antignac A, Hardouin JB, Leger J, Dravet F, Sebille V. Quality of life and coping of women treated for breast cancer and their caregiver. What are the interactions? J Clin Psychol Med Settings 2012;19:320-8]), chronic diseases (SATISQOL study, funding IRESP and PHRC-N, [Kepka S, Baumann C, Anota A, Buron G, Spitz E, Auquier P, Guillemin F, Mercier M. The relationship between traits optimism and anxiety and health-related quality of life in patients hospitalized for chronic diseases: data from the SATISQOL study. Health Qual Life Outcomes. 2013;11:134, Blanchin M, Sébille V, Guilleux A, Hardouin JB. The Guttman errors as a tool for response shift detection at subgroup and item levels. Qual Life Res. 2016;25(6):1385-93, Guilleux A, Blanchin M, Vanier A, Guillemin F, Falissard B, Schwartz CE, Hardouin JB, Sébille V. RespOnse Shift ALgorithm in Item response theory (ROSALI) for response shift detection with missing data in longitudinal patient-reported outcome studies. Qual Life Res 2015;24:553-64]), and renal transplantation (ReTransQol and PreKitQoL studies, funding PHRC-N for both). We plan to initially work on the “analysis population” theme regarding its definition in real world studies. On the one hand, the research unit is already sensitized to this issue regarding the definition of the target population in the field of pharmaco-epidemiological studies. Indeed, several studies have been conducted and will continue, using health insurance databases containing only dispensing data where for instance adherence to treatment is often ill-defined and proxies have to be used [Wainstein L, Victorri-Vigneau C, Sébille V, Hardouin JB, Feuillet F, Pivette J, Chaslerie A, Jolliet P. Pharmacoepidemiological characterization of psychotropic drugs consumption using a latent class analysis. Int Clin Psychopharmacol 2011;26:54-62., Victorri-Vigneau C, Feuillet F, Wainstein L, Grall-Bronnec M, Pivette J, Chaslerie A, Sébille V, Jolliet P. Pharmacoepidemiological characterisation of zolpidem and zopiclone usage. Eur J Clin Pharmacol 2013;69:1965-72., Bellanger L.,Victorri-Vigneau C., Pivette J., Jolliet P., Sébille V. Discrimination of psychotropic drugs over-consumers using a threshold exceedance based approach. Statistical Analysis and Data-Mining 2013;6:91-101., Feuillet F, Bellanger L, Hardouin JB, Victorri-Vigneau C, Sébille V. On comparison of clustering methods for pharmacoepidemiological data. J Biopharm Stat 2015;25:843-856]. Moreover, since real world evaluation is the only way to characterize and identify different risks regarding substance use disorders in specific vulnerable populations, the following studies are also planned: in elderly subjects (benzodiazepine in elderly), person in custody (COSMOS evaluation of drug consumption after incarceration), and infants with specific pathologies (PHEDRE, sickle cell diseases and specific antalgic consumption). Alternatively, we plan to continue our research related to cluster randomized trials. After a large focus on bias, and statistical ways of handling it (Leyrat C, Caille A, Donner A, Giraudeau B. Propensity scores used for analysis of cluster randomized trials with selection bias: a simulation study. Stat Med 2013;32:3357-72. - Leyrat C, Caille A, Donner A, Giraudeau B. Propensity score methods for estimating relative risks in cluster randomized trials with low-incidence binary outcomes and selection bias. Stat Med 2014;33:3556-75. Leyrat C, Caille A, Foucher Y, Giraudeau B. Propensity score to detect baseline imbalance in cluster randomized trials: the role of the c-statistic. BMC Med Res Methodol. 2016 Jan 22;16:9. doi: 10.1186/s12874-015-0100-4. ), we plan to focus on the analysis population. Indeed, in these trials, it is difficult to know exactly which participants have to be considered for the statistical analysis. Sometimes there is no recruitment and outcomes are assessed using databases (as for instance, when assessing interventions aimed at reducing the prescription of antibiotics). Furthermore, outcomes are sometimes assessed using repeated cross-sectional surveys, with different samples for each survey. The POPULAR project plans to identify as exhaustively as possible the different situations that can be encountered using a systematic review, and draw methodological recommendations, based on an international consensus meeting (Profs Allan Donner, Canada; Sandra Eldridge, UK; and Mike Campbell, UK have already agreed to be involved in this project). Secondly, we plan to focus on assessed interventions. Fuller et al (Int J Public Health 2012;57:633‑6) explained that “the effective mechanism of intervention lies in the interaction between the treatment and social context” . There exist some interventions which have been assessed using both individually and cluster randomized trials. We are presently ending a meta-epidemiological study aimed at assessing whether the cluster randomized design is associated with biased intervention effect estimates (MEpiCluster project). Beyond this, it would be of interest to focus on these interventions which have been assessed both in individually and cluster randomized trials. The specific question is whether it is really the same intervention which has been assessed with both designs? We plan to characterize these interventions using Eldridge’s classification, to determine whether they are prone to interactions between patients, such as enhanced compliance or indirect effects (notably in cases of a contagious disease). Thirdly, we aim to investigate the relationships between patients and people with whom they interact. Thus, we plan to focus on the ICC, which in cluster randomized trials, allows to assess the degree of outcome resemblance between participants who share a common cluster. The RICCO project thus aims at using data from previously conducted cluster randomized trials to study changes in ICC estimates: changes over the recruitment (with the underlying idea that the ICC could increase over recruitment, because of a better sensitization of the medical teams to the intervention at the end of the study than at the beginning), and changes over patients’ follow-up (with an ICC greater at the end of the follow-up than at baseline).. We also plan at working on identifying the best way of quantifying a clustering effect in case of a binary outcome. Indeed, the ICC, which is the classically used parameter, has been shown to be dependent on the prevalence, which hampers an easy interpretation of its values. Finally, we will also examine the specific situation whereby apparent non severe diseases undermine physical appearance without effective treatment, a situation where patients’ acceptance of their disease is challenged and where RS could be an indicator of therapeutic benefit (cf. Axis 1). We will develop of an acceptance scale, and then assess whether such a PRO (cf. Axis 1) could assist physicians in patient management, and whether it impacts the patient’s prognostic (cf. Axis 3). Such an objective could thus be assessed in the framework of a cluster randomized trials. We have identified three main directions by taking into consideration health-related QoL: i) among the outcomes of the prognostic models, ii) in the evaluation of the optimal threshold for medical decision making, and iii) in addition to other clinical or biological determinants to better predict long-term outcomes. Regarding the first point, we will extend the MaKiT study (funding PHRC-N), from which we are now able to individually compute the relative risk of death related to transplantation as compared to dialysis. Nevertheless, this tool does not consider the possible increase or decrease of the QoL due to the transplantation. We therefore aim to construct and validate a model to individually predict the adjusted-QoL survival in transplantation compared with dialysis. More precisely, the statistical indicator of interest will be the relative risk of death between kidney transplantation and long-term dialysis, the times-to-death for both treatments being weighted by the corresponding QoL. Such an indicator is unusual regarding the novelty of the statistical model to be developed. These developments notably rely on the concept of Quality-Adjusted Life-Years (QALYs) originally developed for economic evaluation studies. The computation of such a relative risk also implies numerous challenges in terms of statistical modeling. The second point relates to the threshold definition of prognostic markers. We will continue our developments regarding the use of decision analytic approaches for a prognostic test. The methodological originality lies in the combination of the time-dependent prognostic capacities of the marker and the concept of QALYs. The optimal discriminating threshold is determined by maximizing the corresponding time-dependent expected utility function so as to select the threshold that maximizes the number of expected QALYs. This also raises issues relating to the preference-based scores used for the calculation of QALYs. These are determined by asking individuals from the general population. However, healthy individuals often fail to anticipate adaptation to illness, i.e. the fact that patients may adapt to chronic conditions (RS) by changing the relative value they ascribe to the various dimensions of health-related QoL (cf. Axis 1). Based on individual data, we will evaluate the usefulness of both Kidney Transplant Failure Score and Delayed Graft Function Score scoring systems previously proposed by the SPHERE unit in collaboration with the INSERM U1064. Based on aggregated data, we will also study some prognostic markers in oncology such as the Prostate Cancer Risk Assessment (MapMAker project, INCA funding). Dr C. Combescure (Geneva University Hospitals, Switzerland) has agreed to be involved in these projects. Finally, the third point will assess the methodological issues related to the novel perspectives offered by PRO to improve the prognostic capacities of markers where PRO will not be considered as an outcome but also as a covariate. PRO measures are most often missing not at random which might lead to misleading estimates of their relationship with the outcomes of interest (all-cause mortality, net survival, multi-state evolution, etc.). Moreover, if the PRO measures are included as time-dependent covariates, for instance by including the QoL evolution in the KTFS computed at 1 year post-transplantation, the occurrence of RS is likely and should be considered. To further develop our understanding of the dynamic prognostic models in kidney transplantation and aortic valve replacement, we will also explore the use of joint models for PRO and time-to-event. L'équipe SPHERE est en étroite relation avec la plateforme de Biométrie du CHU de Nantes, qui vise à aider les investigateurs à monter des projets de recherche clinique et à analyser leurs données. Plusieurs membres de l'équipe (Fanny Feuillet,Yohann Foucher, Emmanuelle Anthoine, Jean-benoit Hardouin) font partie de cette plateforme dirigée par le Pr Véronique Sébille aux cotés des ingénieurs biostatisticiens et data-manageurs du CHU.